Before hitting the gym to impress the ladies this summer, make sure you have a pair of sick boardshorts. Whether you're getting a tan in the city park or chilling on the beach, come correct and throw on a pair of cool boardshorts so you can spit game to the flyest bikini-clad chick. You can never have enough swimshorts to rotate in your arsenal. From A.P.C. 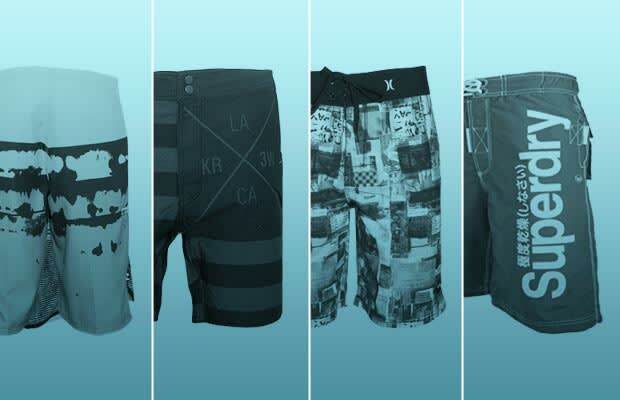 to Superdry, most of these have a 20" inseam so check our picks for The 8 Best Boardshorts and leave the poom pooms for the ladies.